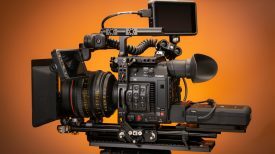 MASV 2.0 is an updated version of MASV 1.0 that was launched back in February and provided a pay-as-you-go massive file transfer service optimized for the professional video production industry. 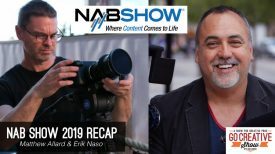 The browser-based application filled a market gap by offering an affordable solution that could transfer massive RAW video files without the need for ‘old world’ software, subscriptions or contracts. 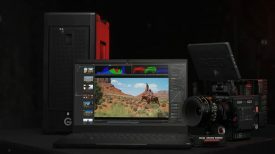 By enabling video editors to send massive files digitally instead of shipping hard drives between partners, MASV Rush let video production professionals collaborate more efficiently while meeting tight deadlines. I am a big fan of MASV, and have used it countless times to send large amounts of data to my clients. 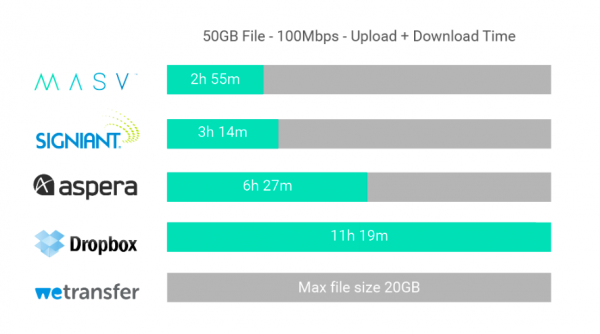 If you have a fast internet connection and your client does too, you can send huge files a lot quicker than using services such as Dropbox, Aspera, and Signiant. MASV Rush uses a pay-as-you-go pricing model at a base rate of $0.15 per GB. I love the pay-as-you-go system, as you aren’t locked into any contracts or subscription fees, and it means that you only pay for the service when you need it. The interface also tells you exactly how much it will cost before you start uploading. As an example if you send a 60GB file it is going to cost you $9 US. If you take into account how much it is to purchase a hard drive and the associated courier costs, you can see how a service like this makes a lot of sense. The browser-only HTML5 application requires no software installation, instead allocating bandwidth to users based on the speed of their internet connection to guarantee file transfer results that are as fast and predictable as any UDP-based solution. With no file size limitations or transfer speed caps, MASV Rush can transfer even the largest RAW video files or file sets quickly and securely. When sending files, security and intellectual property protection are critical. MASV Rush relays data over private, global networks including IBM Softlayer and Amazon Web Services clouds, and takes advantage of in-flight encryption and overlapping application security measures. Just like MASV 1.0, MASV 2.0 requires no plugins or software, is firewall friendly, has no file size limits, and is capable of sending as fast as your connections can handle consistently. 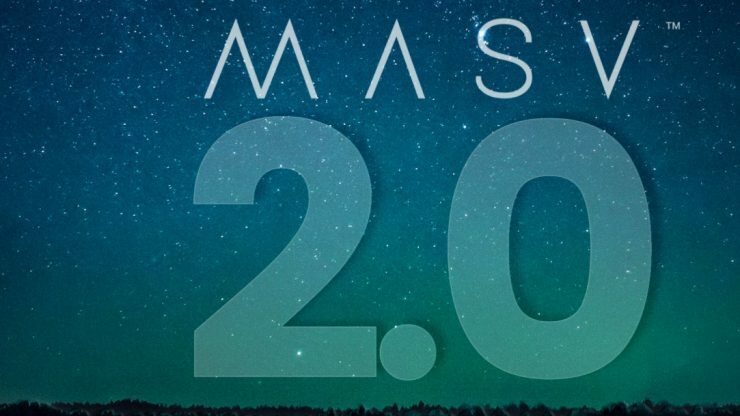 MASV 2.0 is a complete overhaul of the core MASV infrastructure which is claimed to improve the reliability and performance. A complete overhaul of the core MASV infrastructure to improve our reliability and performance. New features for users to make MASV more brand-able, better support for zips, increased number of downloads per delivery, and plenty of user interface improvements. MASV has been re-deployed on a leading cloud provider (Microsoft Azure) to ensure the system is reliable, secure, and can consistently deliver exceptional performance for both uploads and downloads. MASV is now capable of supporting uploads at up to 800 Mbps and downloads through the browser at speeds up to 400 Mbps. Download speeds are throttled by MASV’s cloud provider on a per flow basis but using a download manager such as Free Download Manager, users will be able to get faster download speeds using more connections. The company is also working on a version of a download manager that can authenticate with your account and automatically download the files you receive through your portals. After performing thousands of tests from all over the world the company claims that it posted a 0% failure rate for undelivered packages on the new system. Each operating system has different methods for creating zip files. This is especially true for the massive file sizes that users are allowed to transfer using the service. The result is that a zip created on one operating system cannot always be unzipped on another. 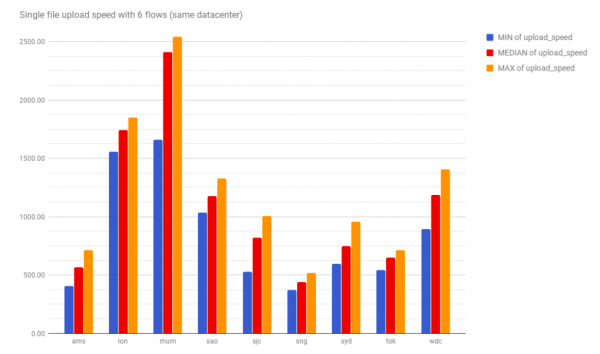 The MASV engineering team set out to build a system that could dynamically generate different versions of the zip format for different operating systems. They didn’t want to slow down the overall delivery time so this is done on the fly as the users files upload. Today, based on the operating system you download the zip from, you will be dynamically sent to the correct zip type for your target machine (just don’t share the zips to other operating systems after you download them). No more errors unzipping packages sent through MASV or having to worry about zipping deliveries before you send them. When MASV launched users were limited to 5 downloads per delivery. Based on customer feedback this has been increased to 50. The ultimate goal is to change the billing to be based on downloads instead of uploads and give users the control to specify how many downloads they would like to allow and when that data expires. Sometimes emails wind up in Junk mail. MASV do everything they can to make their emails inbox friendly but unfortunately sometimes aggressive spam filters will block the emails. As a workaround, they are giving you the ability to access your download links through the history section so you can manually share the link with your recipients through email. There is a new feature called portals. Portals are brand-able upload portals with personalized URLs you can use to send to others to receive files from them. For portals, the costs are charged to your account and all the deliveries are sent to the email address you specify. Portals are billed the same way as sending files through MASV at $0.15 per GB. You can create as many portals as you like and filter your deliveries in the history section by portal name. Many customers create different portals for different projects they are working on to keep all their cost data separate for billing back to their customers.